I’ve been thinking about my work a lot recently. Well, I think about my work all the time but at the moment I’ve been thinking about it in a far more transitional sense. I am conflicted. My entire life has been a mess of paint. Brushes in my handbags, batik ink on my fingers and shoes, acrylic works drying on my window sills. Up until this point I have always defined myself as a painter. My work has meant I produce canvases and sketchbooks filled with paintings. Now I can no longer say that! And I feel slightly lost because of this. I lie, I feel very lost. Completely unconsciously I have shifted from this physical means of production. The journey was not at all intentional, purely incidental! I came in this year to make paintings and one day just went ‘this isn’t working!’ Instead I have surprised myself by entering the realm of moving image and photographic based work. I feel it gives me more of a language to express myself and my ideas orientating on the body. Painting at the moment feels too limiting. Last year I dabbled a bit in sculpture. That was fine; to me that was just an extension of painting. However, I have currently embarked on a route whereby painting does not come into play. And it’s so strange! 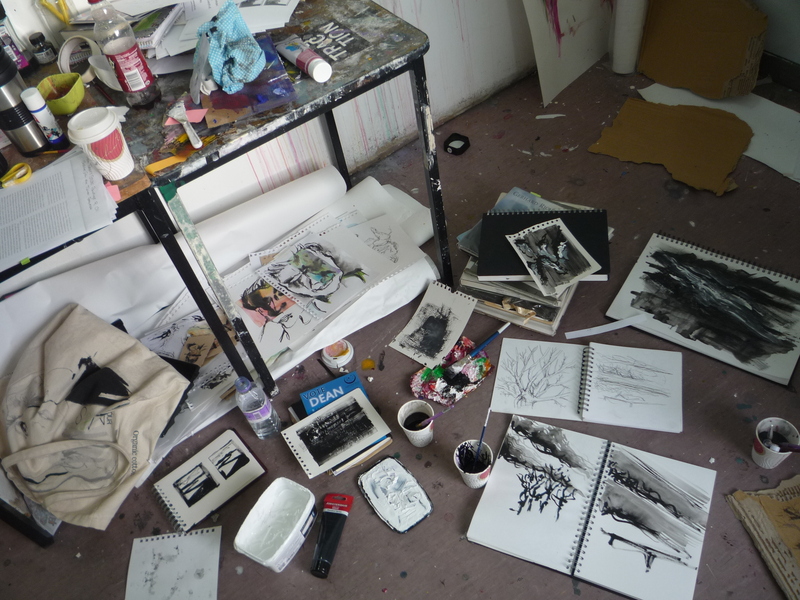 My studio is pretty tidy. There are no coffee cups filled with water and ink. There are no paint brushes left to rot (yes, I am one of those people that does not take good care of them…) And it is very very strange. I’ve hardly known what to do with myself! Yesterday however, I made a breakthrough. I was projecting my film work onto objects and then filming what was occurring as a result. Doing that made me realise what it is that can tie everything together. Layers! I can use projection as a metaphor for my layers of paint. I can still think about things in the painterly sense. I can still apply all my painterly ideologies, I just need to translate them. Up until this point I had felt uncertain. Where was I going? What was I doing? Why had I lost this will to paint? It was scary and it was a place of complete loss for me. 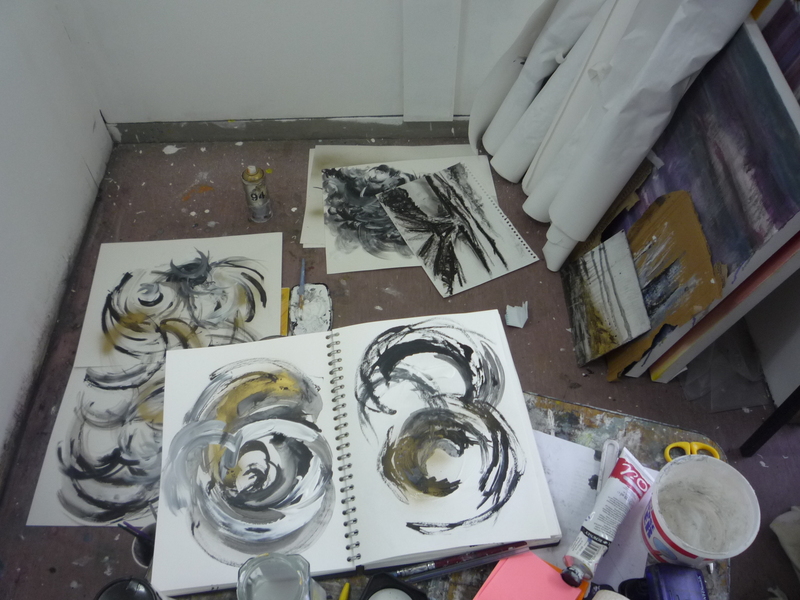 Now however I feel alright about my studio no longer consisting of spilled ink and drying oils. 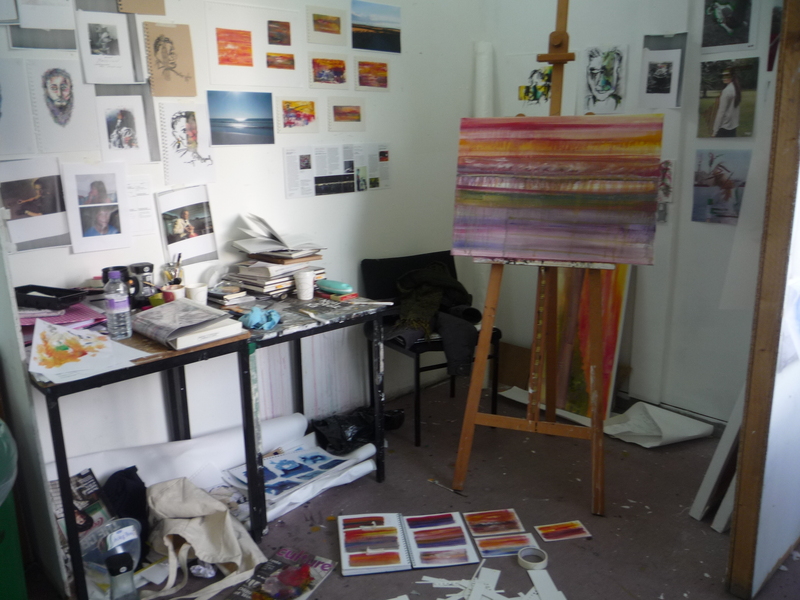 I think it was wandering through other people’s studios today that made me miss the physicality of working with paint. For me working digitally is so strange as it’s everything is on my computer and I have no physical object. In using projection however I am enabling myself to shift more easily from this state of physicality into the digital realm. And now that I’ve begun to feel comfortable in this new world, I am excited again.